Pumps are available in many designs and perform a variety of functions. They are an integral part of our lives and are found in washers, dishwashers and automobile engines and are instrumental in keeping swimming pools clean and fueling our vehicles at gas stations. They are also used in many industrial applications. Two popular designs are the centrifugal and reciprocating pump. Although both are effective in transporting liquids, the centrifugal pump has some distinct advantages over the reciprocating pump. The centrifugal pump consists of a housing with an inlet and outlet and an impeller that rotates inside the housing to move liquid. The reciprocating pump is more complex in design and consists of a housing with a piston-connecting rod system inside, similar to your car's engine. A crankshaft within the pump rotates, causing the connected piston to travel back and forth in a linear motion. With the aid of two check valves, the piston first draws liquid in and then reverses direction, forcing the liquid back out through a separate port. Centrifugal pumps require less floor space than reciprocating pumps of equal capacity because of the simpler design. Also, the capacity of the centrifugal pump can be increased more easily by enlarging the inlet and outlet diameters and increasing the impeller speed. The smooth rotating motion of the impeller in the centrifugal pump allows for a more even discharge of fluids than the pulsating motion of the piston in the reciprocating pump. Pulsating flow of liquids may require special design considerations for piping systems. 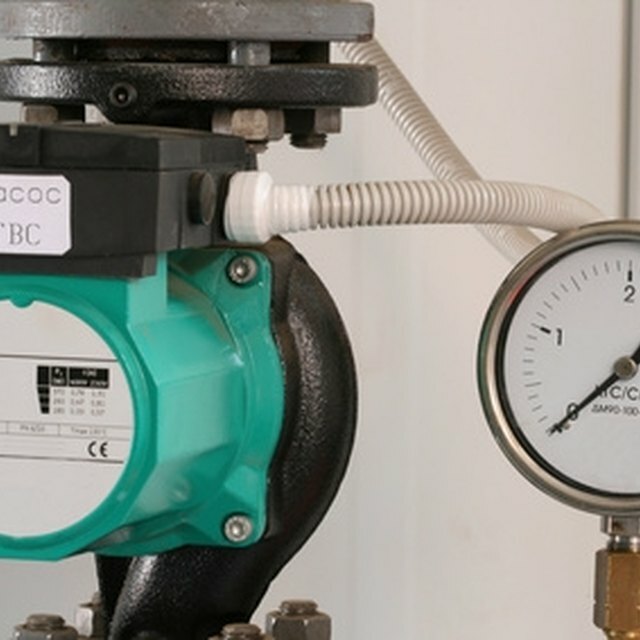 Maintenance can be performed on both types of pumps relatively easily and quickly. However, the centrifugal pump tends to have a longer performance time before maintenance and/or repairs are required because it has fewer moving parts. In addition, repair time can be shorter and less costly.